The Watauga County Historical Society (WCHS) embarked in 2014 on a new campaign to digitize Watauga County’s surviving photographic and documentary materials, known as the Digital Watauga Project (DWP). Building on a non-renewable, one-year, $25,000 LSTA E-Z Digitization Grant from the State Library of North Carolina in 2015, the WCHS and its partner organization, the Watauga County Public Library, have successfully digitized more than 2,500 items from six different collections. We are guided by a fierce commitment to making and keeping access to these collections completely FREE for the general public. You can check out our work and learn more about the Digital Watauga Project at http://DigitalWatauga.org. For our second year of digitization (2016-17), we have several exciting collections lined up, including a large collection of images documenting the sawmill operations and community at Shull’s Mill, a large collection of farm photos from the Watauga County Agricultural Extension, a slide collection showing the 1973 Daniel Boone Wagon Train passing through Boone, and—perhaps most exciting—several thousand negatives and prints from Palmer Blair, a Boone photographer who seemed to be everywhere with his camera between 1947 and his death in a plane crash in 1957. Several of the completed Digital Watauga Collections are described below. This collection is drawn from the photographs and materials collected by the Historic Boone local history group, which operated from 1994 until the early 2000s. Additional items from this collection are available in digital format through Digital NC. Further non-digitized items can be accessed in person (by appointment) at Watauga County Public Library in Boone, North Carolina. Bobby Wayne Brendell (pronounced “BREN-duhl”) was born January 1, 1938, in Boone, NC. 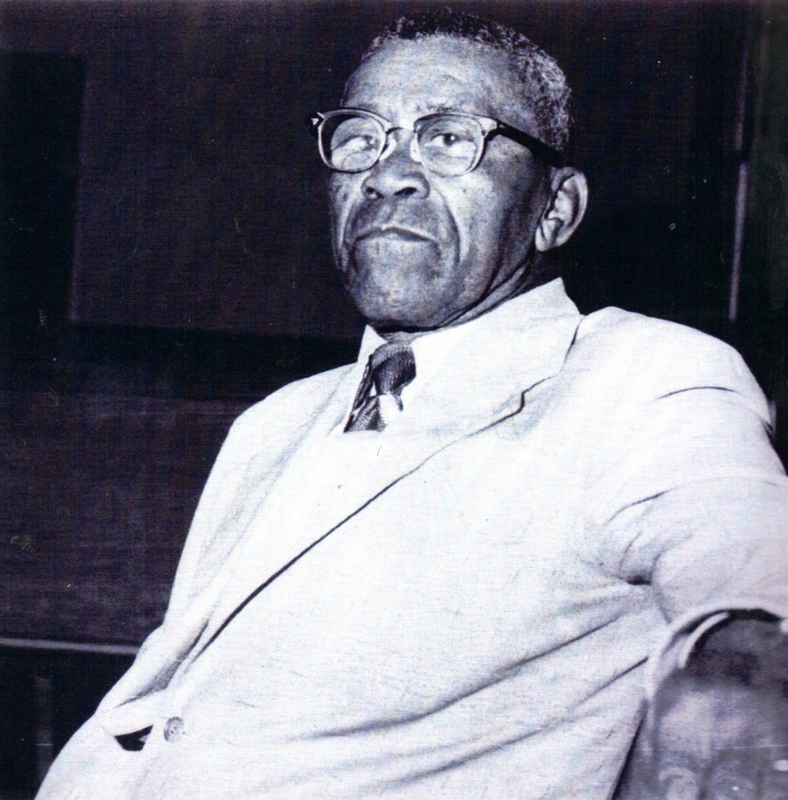 A 1961 graduate of Appalachian State Teacher’s College, Brendell taught briefly in Chatham, VA, before beginning a thirty-year career as a science teacher, coach, and assistant principal with the Moore County (NC) Public Schools in 1963. He resided for many years in Carthage, NC. During the early 1990s, Bobby Brendell accumulated a collection of over 400 postcards relating to various attractions in the High Country of North Carolina, many of them concentrated in the communities of Boone, Valle Crucis, and Blowing Rock in Watauga County and Banner Elk in Avery County. Brendell donated this extensive collection of postcards to the Watauga County Historical Society in early 2015, shortly before his death. Boone’s historically black community, Junaluska, has a unique and continuous history dating back to the mid-late 1800’s, with descendants of many of its original families still living in the neighborhood today. Although this community, located near downtown Boone, dates from the nineteenth century, some Boone and Watauga County residents remain unaware of its presence. The Junaluska Heritage Collection consists of photographs spanning the late nineteenth through the early twentieth centuries that have been collected by the Junaluska Heritage Association. The collection contains images of many descendants of the original families who settled in the Junaluska community in the mid to late 1800s, as well as an image of the historical consolidated black school and school children. Included in this collection are also digital images of 166 photographs that were found behind the chimney in a home of one of the original families of Junaluska, many of which appear to have been taken by a Junaluska resident while serving in the US Army in Europe shortly after World War II. Built at the direction of W. R. Winkler and A. E. Hamby in 1938, the Appalachian Theatre was an Art Deco marvel for the upstart mountain town of Boone. The theater featured 997 seats when it opened--enough to seat the entire population of Watauga County in just three showings--and was home to countless movies and live acts, including one of Doc Watson's early stage performances. Following a devastating 1950 fire, the theater was reopened as a single-screen theater but was converted to a twin in the 1980s. The theater is presently under renovation to restore its former glory and re-open as the premier showplace in the High Country. 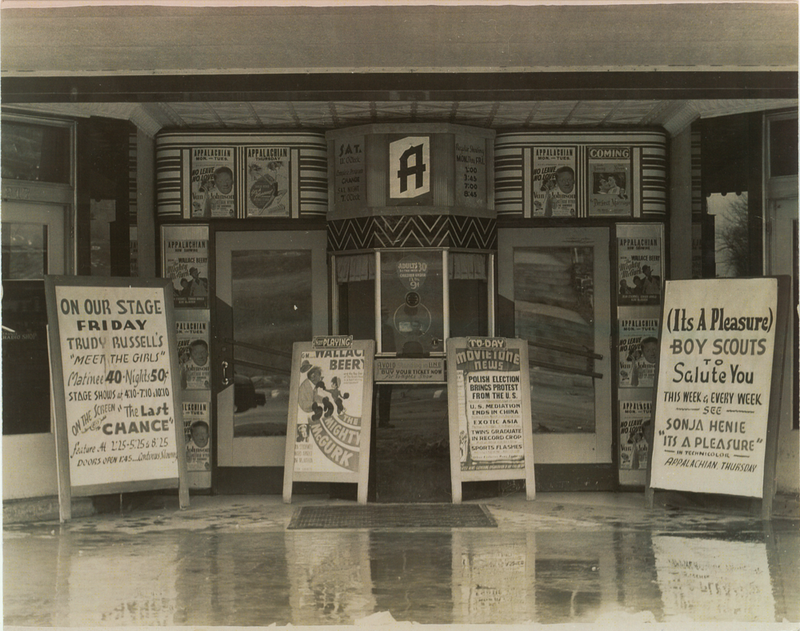 Images in this collection include early photographs of the theater in 1938, late 1940s images of crowds in front of the theater, 1950 post-fire images showing the Appalachian after renovations, and numerous advertisements for shows at the theater.